DescriptionUse these stylish Rose Gold Team Bride Straws to sip delicious drinks throughout your celebrations. The rose gold foiled writing will look stunning as part of your hen do/party setting and sure to be loved by the whole of Team Bride! Each pack contains 16 straws measuring: 200mm. 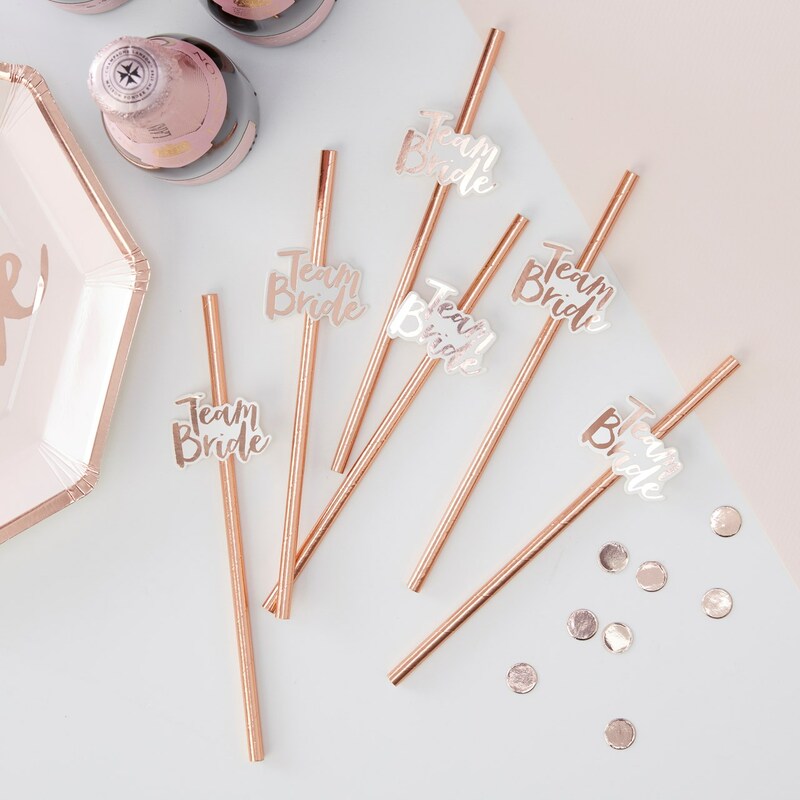 Use these stylish Rose Gold Team Bride Straws to sip delicious drinks throughout your celebrations. The rose gold foiled writing will look stunning as part of your hen do/party setting and sure to be loved by the whole of Team Bride! Each pack contains 16 straws measuring: 200mm.